Mattel Wins Toy Of The Year Award For DC Super Hero Girls(TM) in the Action Figure Category | Mattel Inc.
NEW YORK, Feb. 21, 2017 -- Mattel, Inc. (NASDAQ:MAT), the leading global childhood development and play company, was recognized at the Toy Industry Association's Toy of the Year (TOTY) Awards ceremony, winning the Toy of The Year Award in the Action Figure category for its DC Super Hero Girls™ Action Figure Assortment, based on votes from toy retailers, media, TIA members and consumers. "In partnership with Warner Bros. Consumer Products, it's an honor to be recognized by our peers and the Toy Industry Association," said Lori Pantel, Senior Vice President & General Manager of Girls' Brands at Mattel. 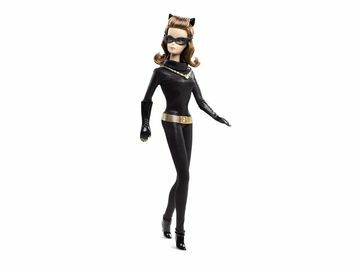 "The DC Super Hero Girls Action Figures have broken boundaries and inspire girls to be strong, brand and powerful." "We're so proud of DC Super Hero Girls and, in partnership with Mattel, we've been able to bring the first-ever action figures to girls and kids to expand their universe of imagination and play," says Pam Lifford, President, Warner Bros. Consumer Products. "We're thrilled to see our groundbreaking franchise continue to break barriers and gain recognition for its mission and empowerment for girls and fans around the world." 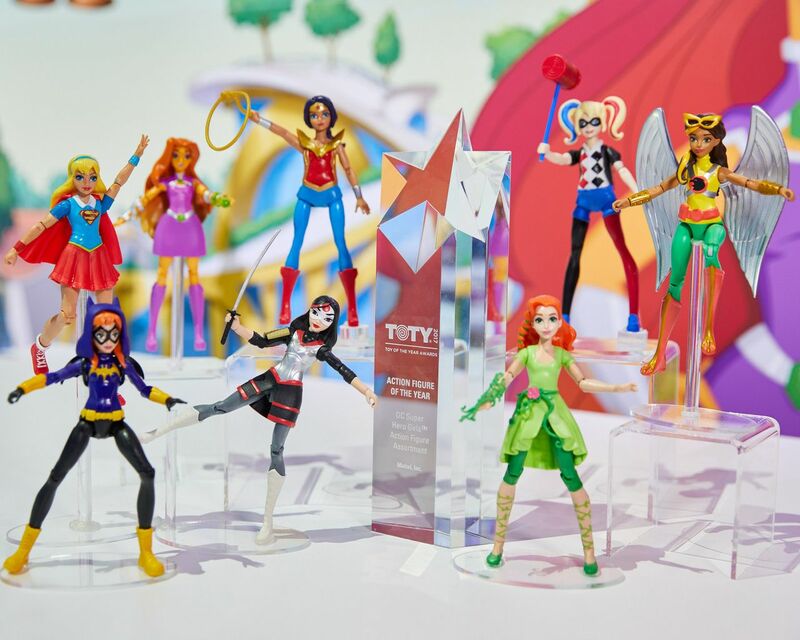 Action Figure of the Year went to DC Super Hero Girls™ Action Figure Assortment. To inspire girls to push boundaries and reach their potential, Warner Bros Consumer Products, DC Entertainment and Mattel paired up to create a line of teenage-aged DC comic book-inspired female Super Heroes designed to 'Save the Day' with this groundbreaking line. The line is not only filling a need in the marketplace by creating Super Hero characters for girls, but, are also leading by delivering product via a variety of categories – including first ever action figures – an exciting category to enter in the girls space. Mattel wins Toy of The Year Award in the Action Figure category for its DC Super Hero Girls(TM) Action Figure Assortment.